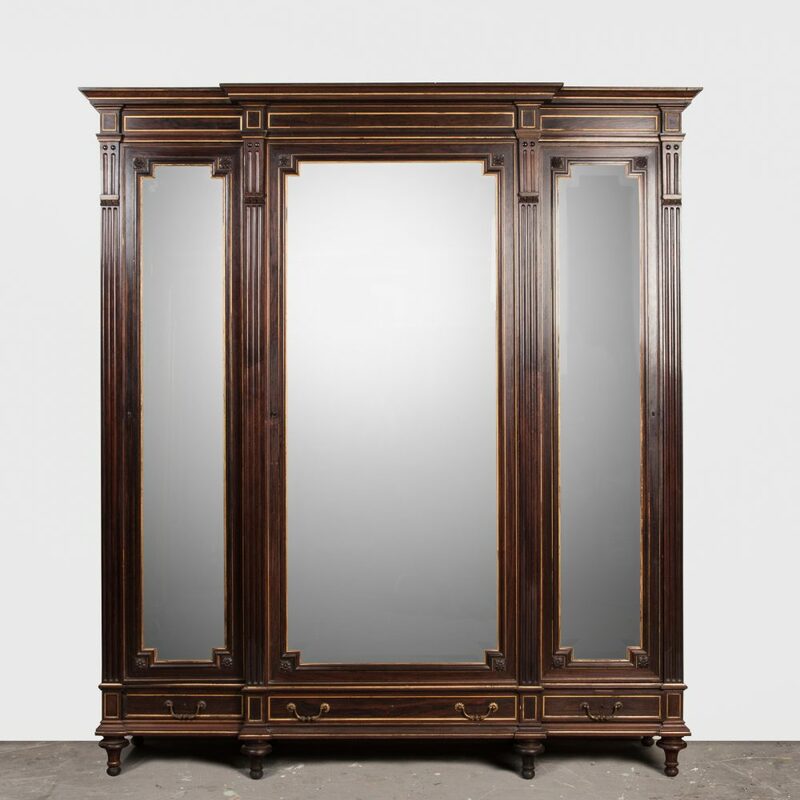 A grant Napoleon III style armoire from France. 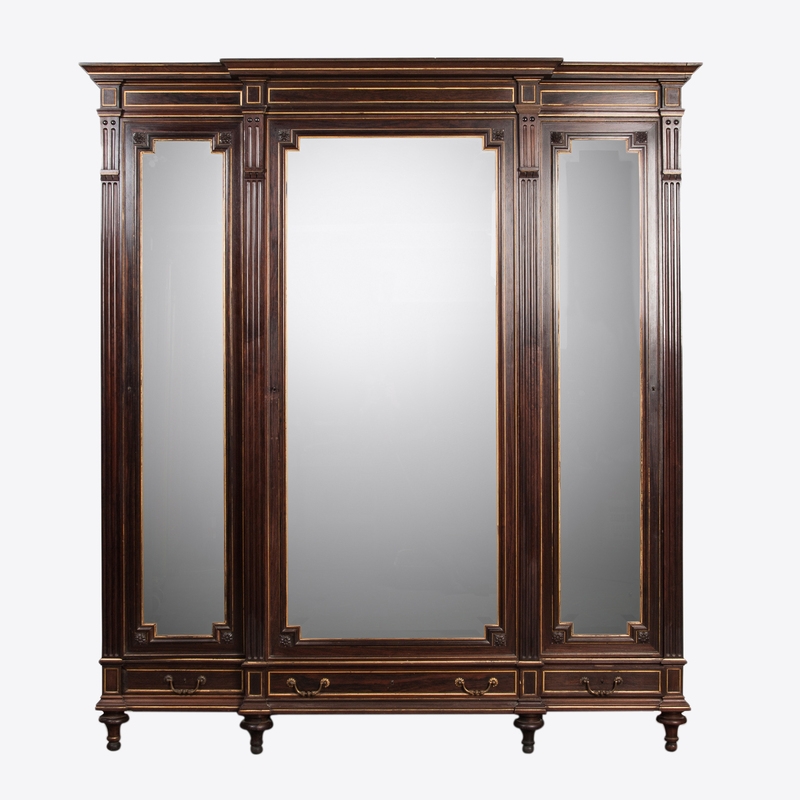 This large armoire has been constructed using solid walnut that has patinated wonderfully and has beautiful brass details. 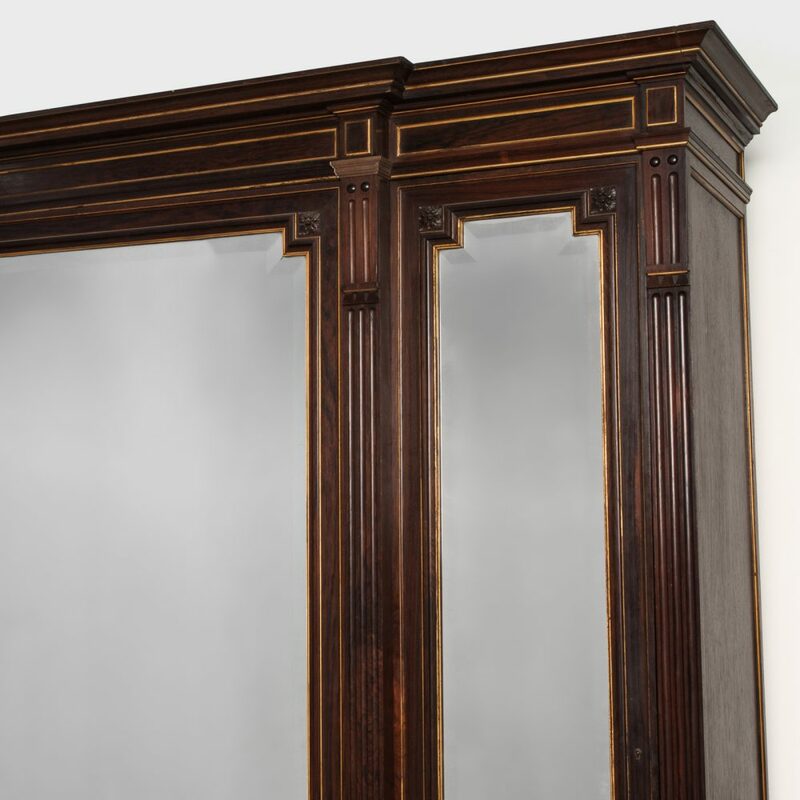 This impressive Belle Epoque armoire displays an extremely high level of craftsmanship. The three large panel doors all contain beveled mirrors. 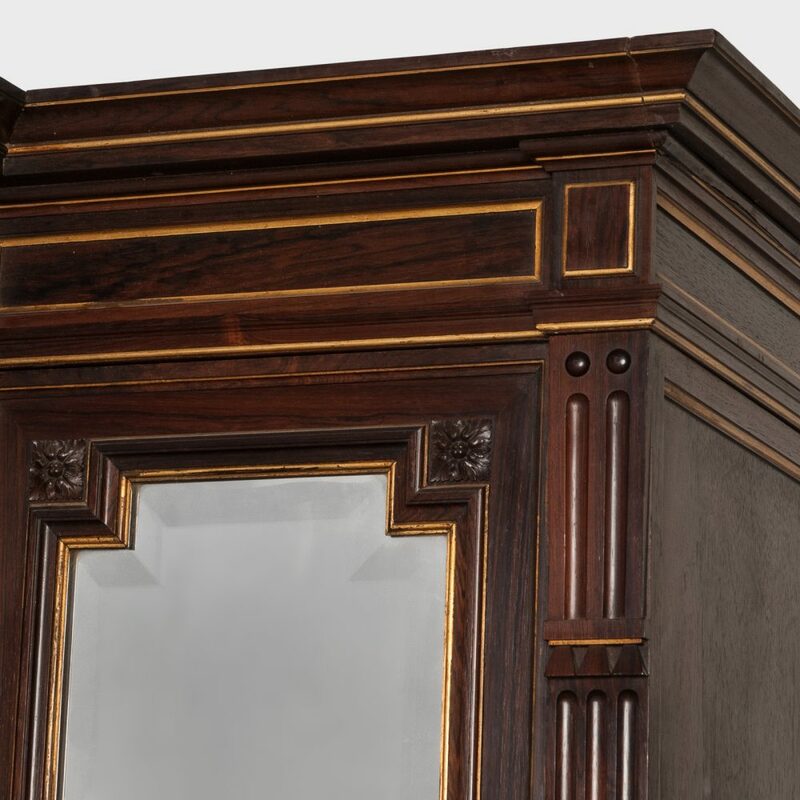 Behind the beautiful long dressing mirror doors is an interior that has been outfitted with several shelves and offers ample storage for clothing and/or linens. 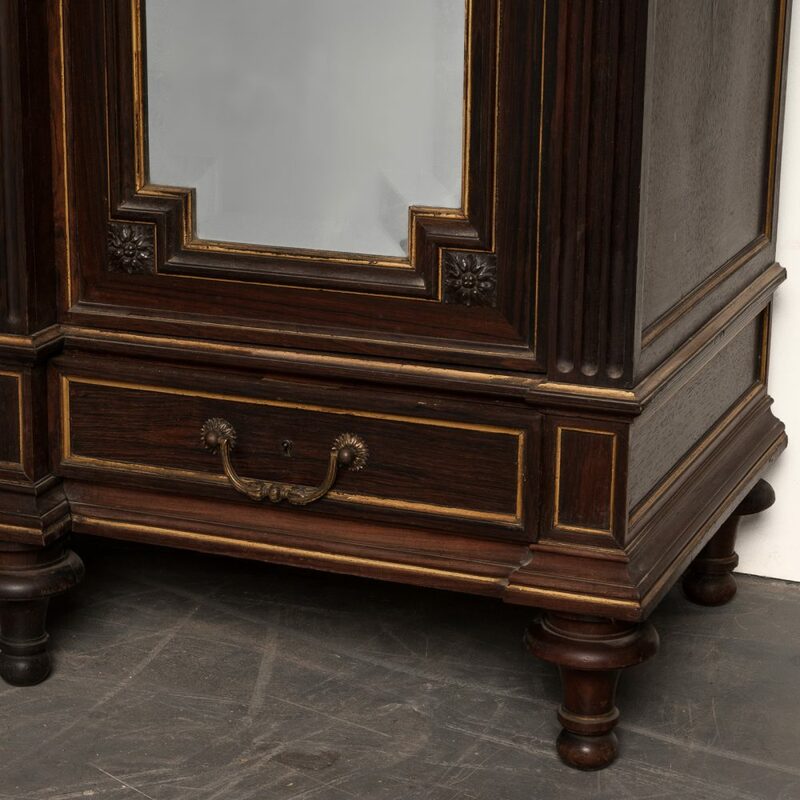 This Napoleon III style armoire is in very good to excellent condition for an antique having been restored and polished. 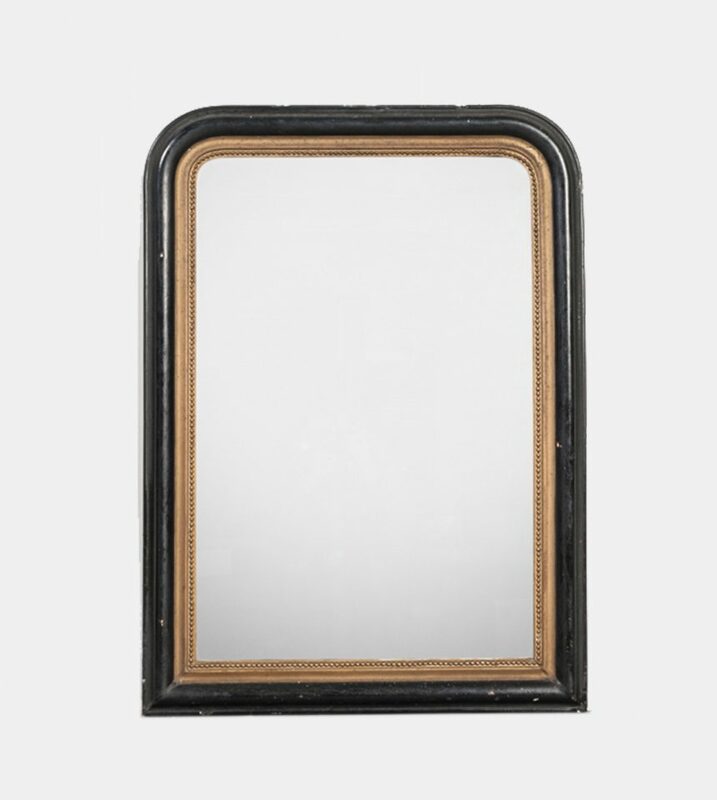 There may be minor surface imperfections consistent with age and use but there are no mechanical or structural issues. H 231 cm. W 207 cm. D 50 cm. 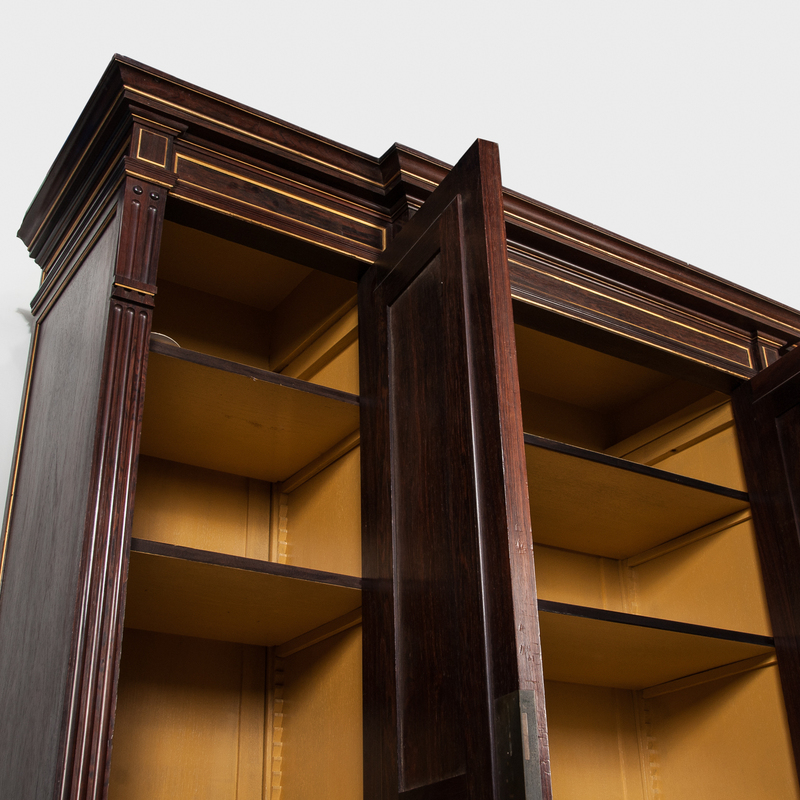 We can outfit the interior to suit your needs with shelves and/or hanging rods. 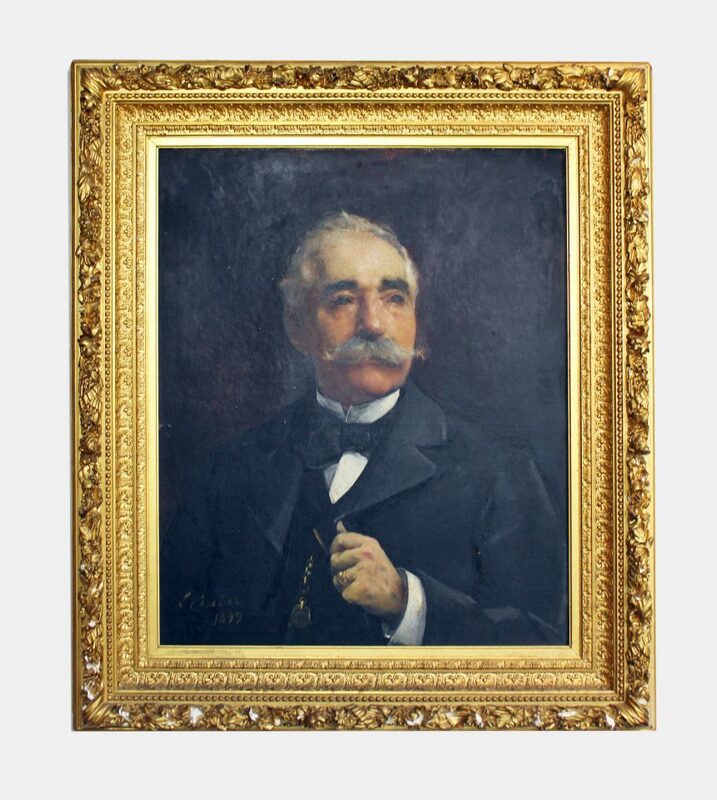 Please ask us for a quote.